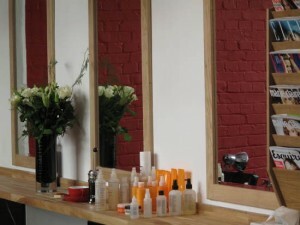 Hoxton Salon may be a five minute walk from Old Street station, but you won’t find any hipster pretensions. With its funky red brick walls and friendly staff, it maintains an East London feel without the Nathan Barley attitude and hip hop meets techno soundtrack. Plus you get plied with free glasses of bubbly when you arrive. What more could a girl want? When I was growing up my dad was the only person allowed to comb my matted mop of wild blonde curls. Doing a great impression of a recently escaped mountain lion, the poofy ball of fuzz has thickened further over the years, leaving it barely controllable. But after several trips to Hoxton Salon, the combination of organic colour systems hair dyes and expert chopping has calmed the madness to manageable levels. (There are now considerably fewer ‘hat’ days.) Salon owner Paula and resident hairdresser Vicky are able to offer advice on all hair types, even if you don’t resemble an extra from Fraggle Rock. And unlike many London hairdressers, they’ll give genuine opinions on what’s best for you, not try to flog you the most expensive products. Having a stranger apply hot goo to your naked nethers whilst you make casual conversation is rarely a pleasurable experience. Although you’ll still need to get into the type of compromising positions even a long-term boyfriend wouldn’t see you in, the technique at Hoxton is considerably more gentle than most. A self confessed waxing phobe, I first ventured into Paula’s salon cautiously. Aware of my low pain threshold and general ‘wussiness’ she was happy to go slowly, numbing the pain with her posh organic products (and a glass or two of champagne). The salon also specialises in men’s waxing, so if your boyfriend’s looking hairier than Chewbacca, send him in for a back, crack and sac. 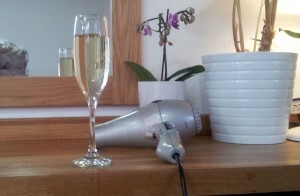 Prices are very reasonable for London salons, starting at £46 for a haircut and £96 for a cut and colour. Organic dyes are slightly more expensive, but it’s well worth the investment. I pay £20 for a high string bikini wax, though braver can girls can opt for a Brazilian or Hollywood for a higher cost. In addition to hair and waxing, the salon also offers manicures and pedicures, all of which are done with Jessica polish. Visit the website or follow them on Twitter for more information.